I’ve been eating WAY too much carbs lately. 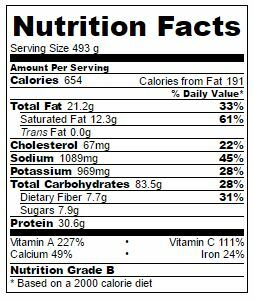 So much so, I kind of wish that there was such a thing as an official, recognized High Carb Low Fat diet. Trust me, if there were such a thing, I’d be totally rocking it. I’d be the healthiest human being alive and I’d be dropping the pounds like you wouldn’t believe. Well, mind you, there’s always the issue of chocolate… There happens to be a lot of fat in chocolate, so it wouldn’t sit too well with that HCLF lifestyle… But hey! I’m sure I’d find a way to fit some in! All joking aside, though, I don’t know if it’s because I’ve been eating so very little carbs during my paleo years and that my body is now rebelling, but all I seem to crave is carbs, carbs and more carbs. I know, I know. The thing with carbs is the more carbs you eat, the more carbs you crave. Hopefully this’ll pass. 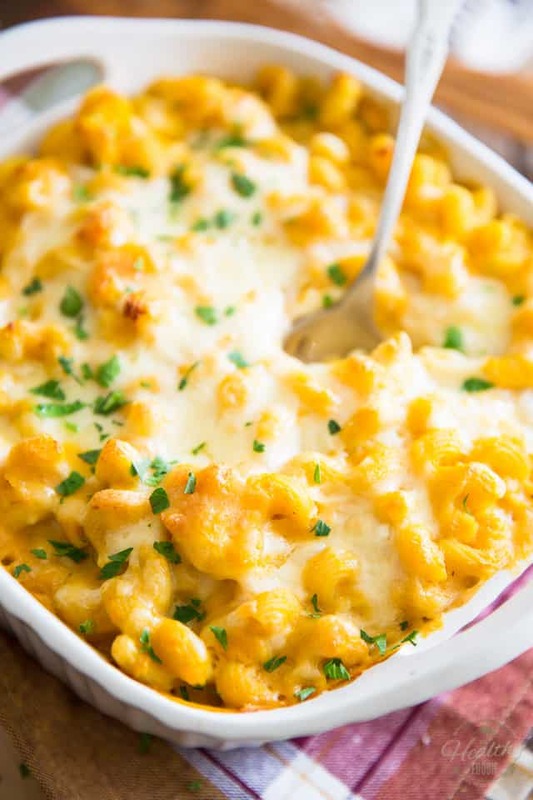 In the meantime, I’m trying to stick mainly to carbs of the good kind, like the ones that are in this Butternut Squash Mac ‘N Cheese, for instance. Seriously, it had been a long time since I’d last whipped up a dish that I thought was so crazy delicious, I just couldn’t stop eating it. As soon as I had my first taste, I just COULD NOT put my spoon down and came *this* close to wolfing down the entire content of the casserole right then and there, on the set. Not to toot my own horn or anything but this stuff is absolutely AH-MA-ZING. 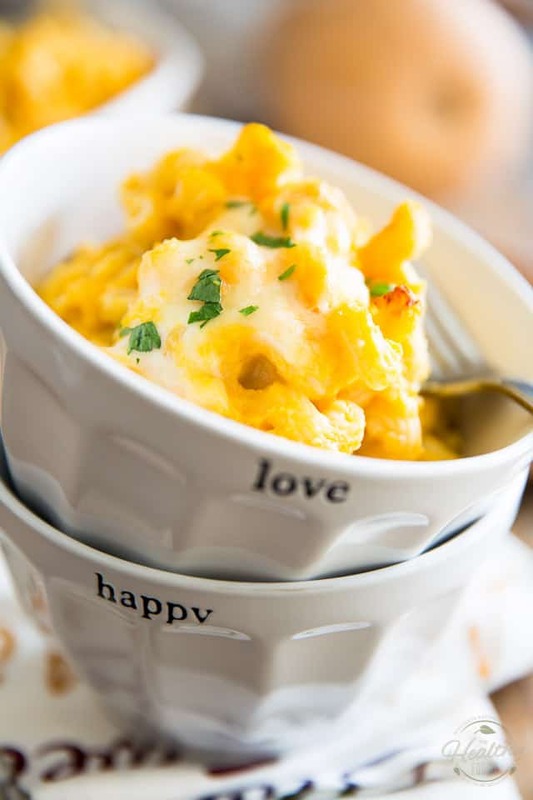 Say your kids they’ve been demanding Mac ‘N Cheese for days now, but you’re really not big on the idea of serving them such a diabolically-indulgent-and-unsubstantial dish for dinner. 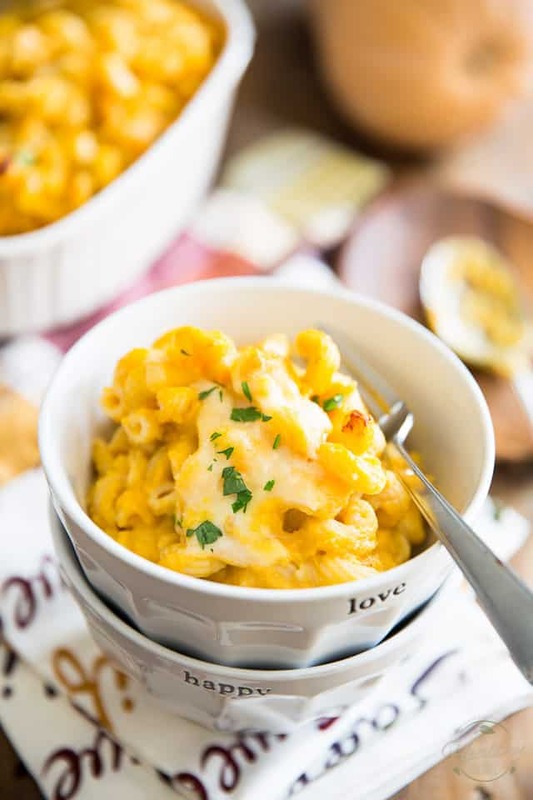 Well, let me tell you, this Butternut Squash Mac ‘N Cheese right here is the perfect compromise! If you don’t tell them, I’m sure no one will ever guess that this thing is not only loaded with butternut squash but that it also contains a very healthy amount of cauliflower, too! That’ll be your little secret. 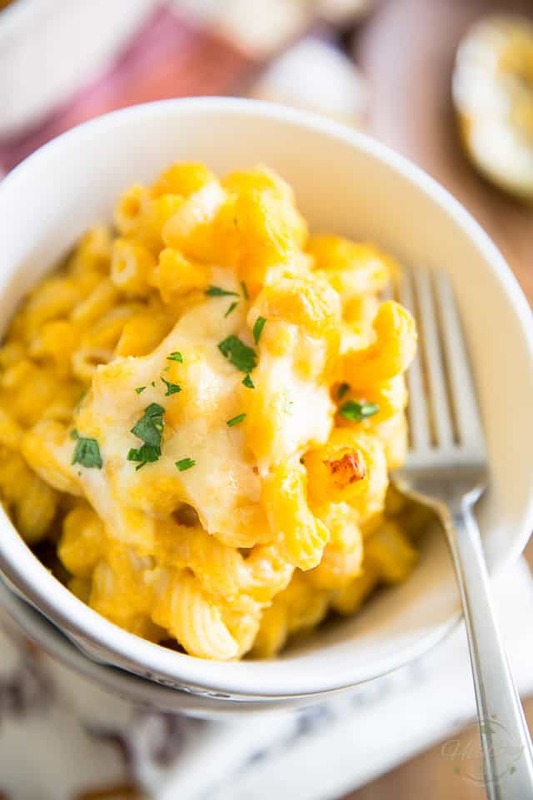 All they’ll see is a deliciously creamy and comforting pasta dish swimming in silky, ooey and gooey cheese sauce. First, to cook some pasta! I chose to use tortoglioni because I think it’s quite simply the coolest pasta in the world for Mac ‘N Cheese. Of course, you could use whatever pasta you prefer, and even sub whole grain or gluten free, if you wanted to. The only important thing to remember is you want to be cooking your pasta for 2 minutes LESS than the recommended time on the package. If you cooked it all the way through now, the pasta would become extremely soggy when it goes in the oven later. And as soon as it’s done cooking, you want to drain your pasta and then set it aside, in the colander. While the pasta is cooking, preheat the oven to 350°F and melt some ghee (or other cooking fat of your choice) in a large saucepan set over medium heat. Then, add your onion, garlic, salt and pepper and cook until fragrant and slightly softened, which should take about 2 minutes. 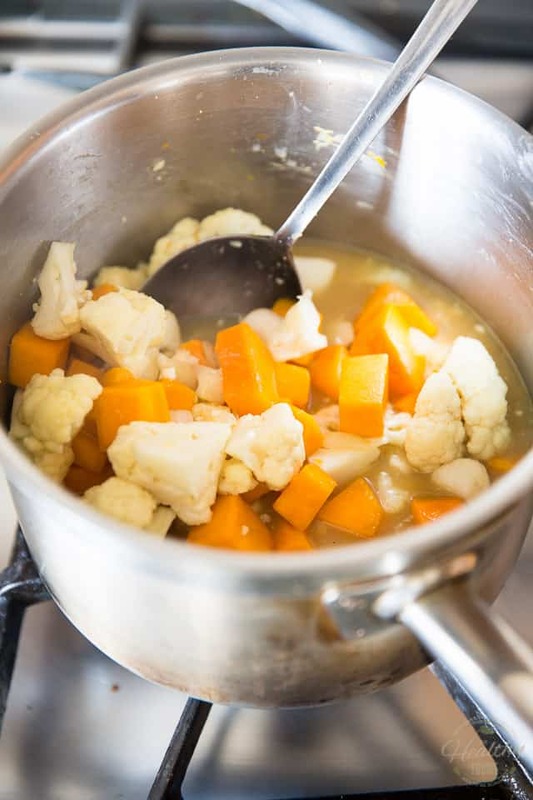 Next, the diced butternut squash and cauliflower florets go in and need to cook for about 2 minutes, just to help them develop their flavor a little bit. Then, add the chicken broth, Vermouth (if using) and Dijon mustard. 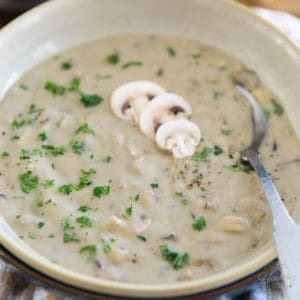 Stir well and bring to the boil, then lower the heat, cover and simmer until the vegetables are really tender and slightly overcooked, about 8 to 10 minutes. When I say overcooked, I mean overcooked. If this wasn’t destined to be turned into a puree, I don’t think that you could get me to eat it. But if you want your sauce to be really smooth and silky, you want your veggies to practically fall apart. In fact, here’s a bit of a tip for ya: say you really didn’t want to be bothered with cutting and peeling that squash, you know… Well, you could totally get away with roasting it instead and then scoop some of the baked flesh, weigh the required amount and add it to the pot after the cauliflower was fully cooked. 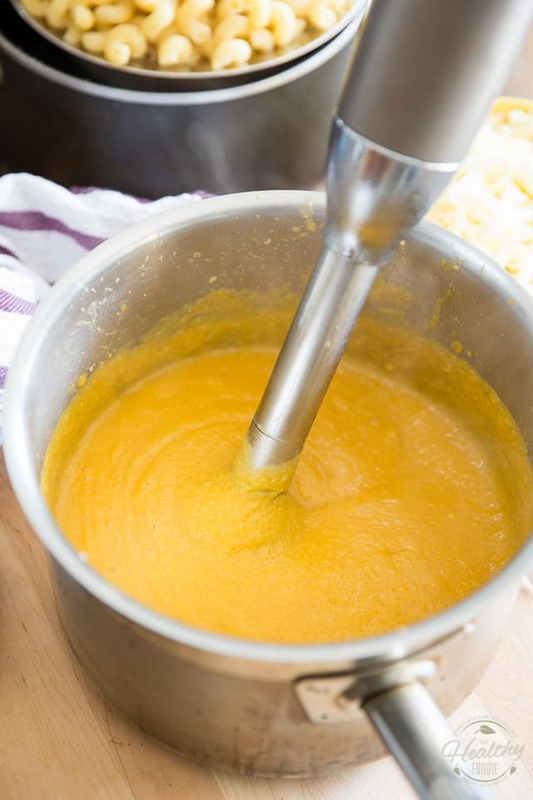 Then, with the help of a stick blender, reduce the veggies to a smooth puree. 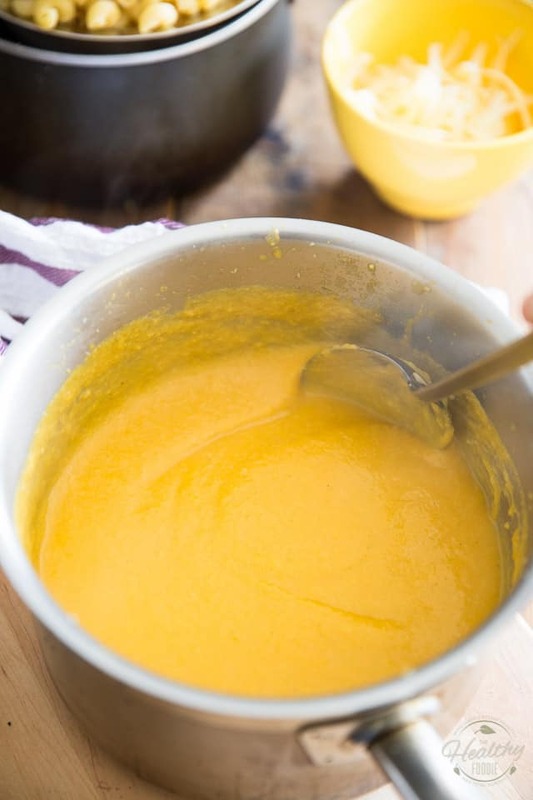 If you didn’t have a stick blender, you could very well use a food processor or high-speed blender instead, and then return the puree to the saucepan. Of course, that would mean extra dishes to clean, but it would be very well worth it, trust me! 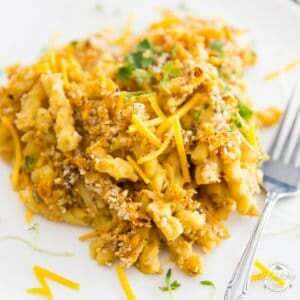 Now save a handful of each of the grated cheeses, which you’ll later sprinkle on top of the Mac ‘N Cheese. Throw the rest into the saucepan. I chose to use a combination of Gouda cheese and Monterey Jack, two varieties of cheese that have a good reputation for melting well and that aren’t so pungent that they would completely mask the flavor of the squash but still have a robust flavor enough that you will still get to fully appreciate their presence. Of course, you are completely feel free to change things up if you wanted to. For instance, I’m thinking that Gruyere, Havarti, Provolone or Sharp Cheddar would also work really well. Maybe even a handful of grated Parmesan; that would definitely add a nice depth to the overall flavor of the dish. 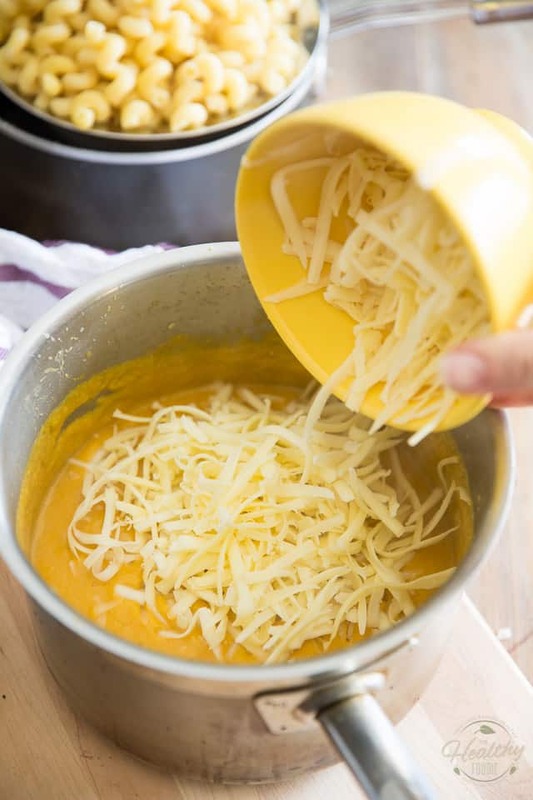 Mix your cheese in delicately with a large spoon until it is fully melted and the sauce if completely combined. …and mix until fully combined. Looking good already, isn’t it? 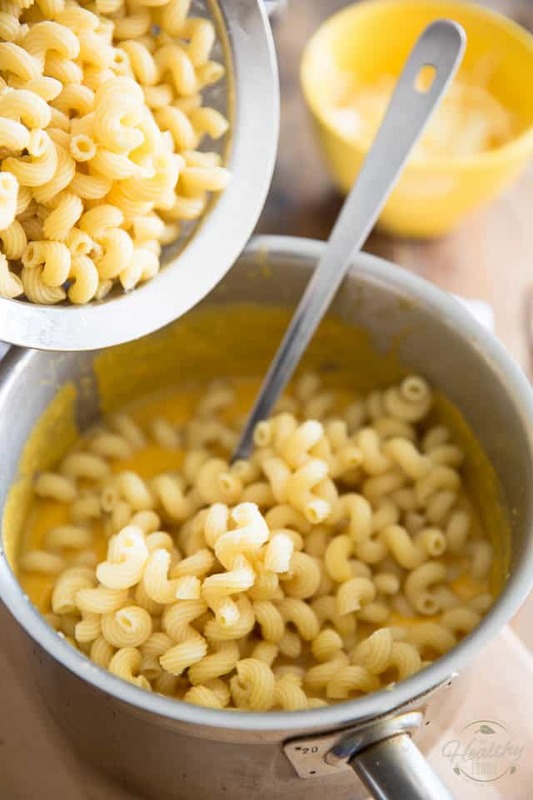 If you were in a real hurry, you could very well cook the pasta all the way right at the beginning, so your Butternut Squash Mac and Cheese would pretty much be ready to serve now. 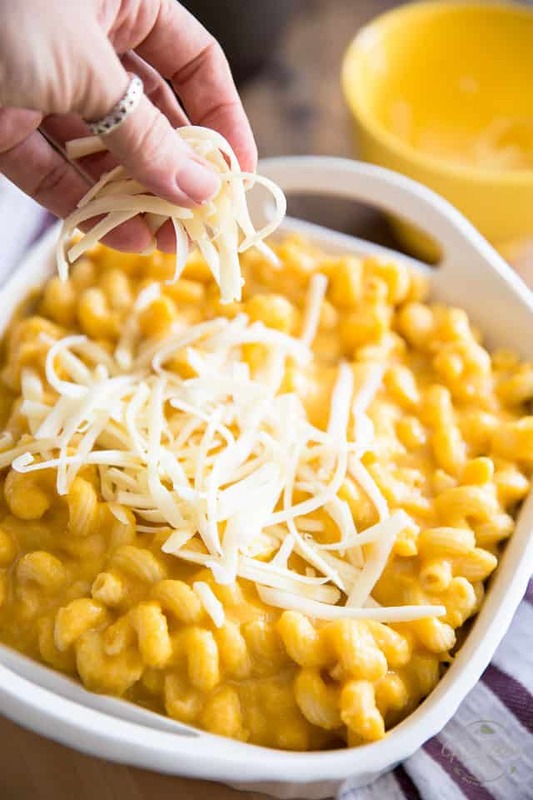 Transfer your pasta to a 9″ square baking dish and top it with the couple of handfuls of cheese that you set aside earlier. Now send this to the oven and bake for about 30 minutes, or until the cheese is melted and golden and the sauce starts to bubble on the sides. 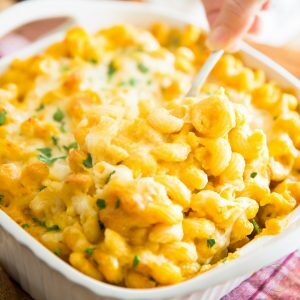 Allow your Mac ‘N Cheese to rest for 5 to 10 minutes then garnish with a handful of chopped parsley and serve. I bet you won’t even need to call the kids: they’ll be right there, sitting at the dining room table, plate in hand, eagerly waiting for dinner to be served! While the pasta is cooking, melt the ghee (or other cooking fat of your choice) in a large saucepan set over medium heat, then add the onion, garlic, salt and pepper and cook until fragrant and slightly softened, about 2 minutes. 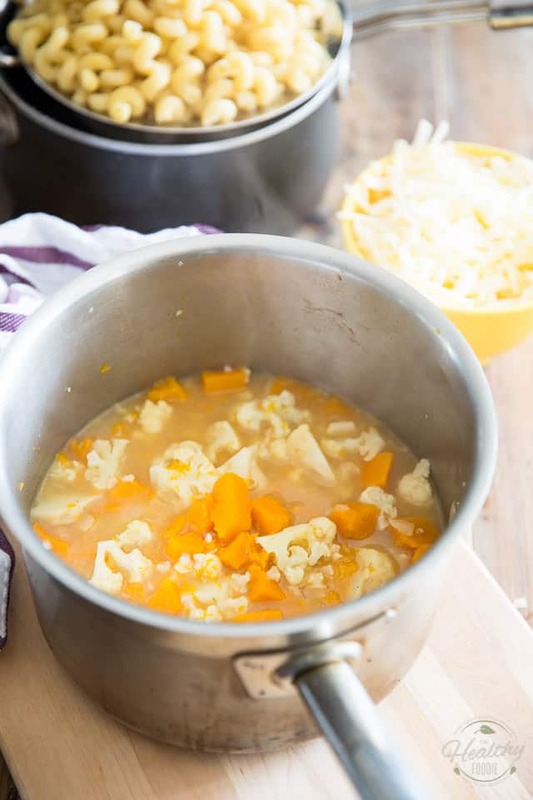 Add the butternut squash and cauliflower florets and continue cooking for 2 minutes to help develop their flavor. Next, add the chicken broth, Vermouth (if using) and Dijon mustard, stir well and bring to the boil. Lower the heat, cover and simmer until the vegetables are really tender and slightly overcooked, about 8 to 10 minutes. Reduce to a smooth puree with the help of a stick blender (alternately, you could also use a food processor or high-speed blender) and then add the grated cheeses, minus a handful of each which you'll sprinkle on top of the dish later, and mix delicately with a wooden spoon until the cheese is fully melted and the sauce is completely combined. Stir in the cooked pasta and transfer to a 9" square baking dish. 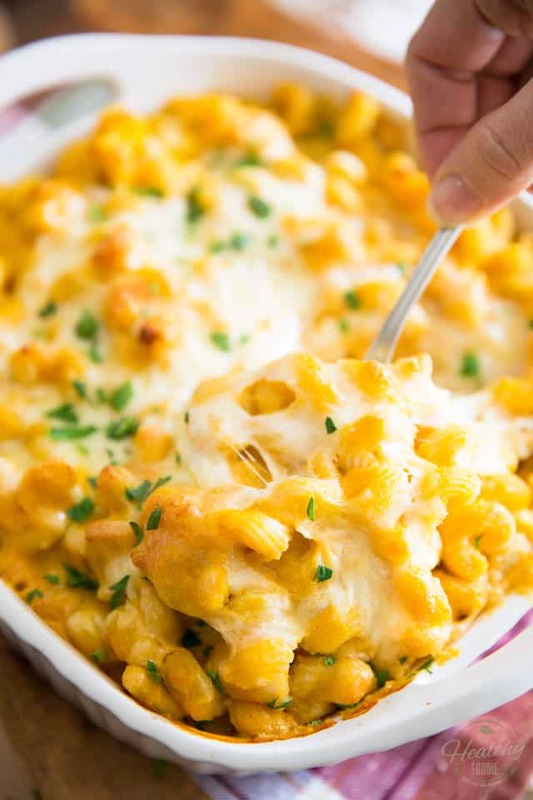 Top with the reserved handfuls of grated cheese and bake in the oven for about 30 minutes, or until the cheese is melted and golden and the sauce starts to bubble on the sides. Allow to rest for 5 to 10 minutes then garnish with a handful of chopped parsley if desired and serve. WOW! This does look tasty. Sonia, omfg this is soooo good!!! I made it tonight and I seriously had to stop myself from having a second serving. 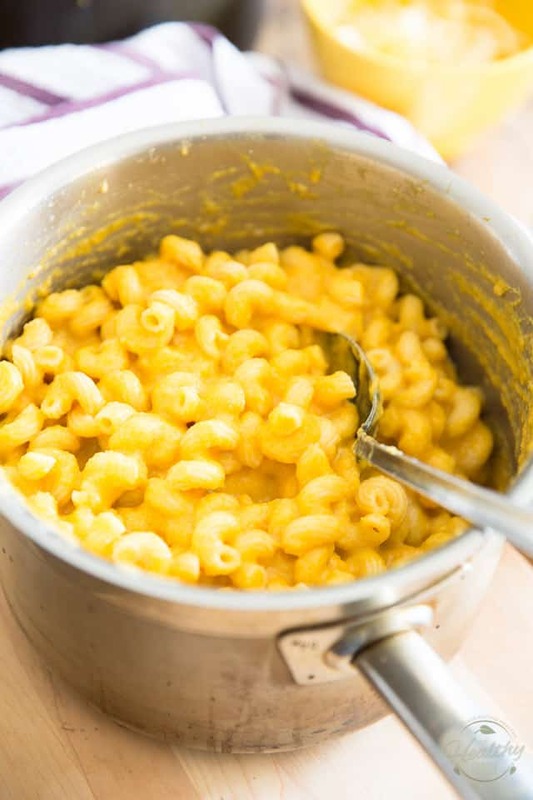 My 4 year old has never been interested in mac’n’cheese so it was no surprise that she wouldn’t eat it, but my partner & I loved it, as did our 11 month old. She polished off my bowl. I’m going to be making a double or triple batch of the sauce, so I can more quickly throw it all together in the future. SO GOOD! Thank you! Oh I most definitely like it more than the standard mac’n’cheese! 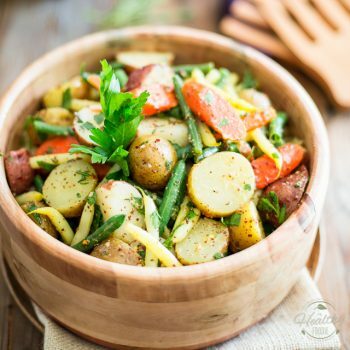 can you make it vegetarian – i.e. 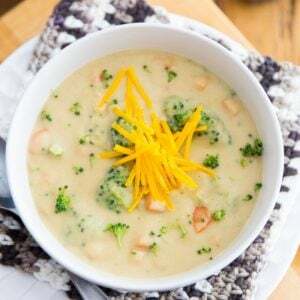 swap chicken for vegetable stock? FYI: your ingredients list says stock and your instructions say broth! Going with stock and crossing my fingers! I’m sorry about the confusion Val, to me those 2 terms are highly interchangeable. Feel free to use whichever you prefer! So for me it’s not quite a Mac n cheese substitute, but it is a good pasta dish and I’ll make it again. 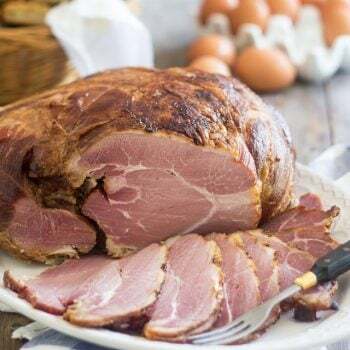 I’ll be making this tomorrow. 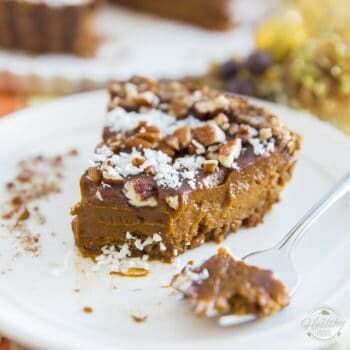 Seems like the perfect antidote to the cool weather we are having all of a sudden! Those white serving bowls are ADORABLE! Where did you get them? Thanks! Haha! I buy SO MUCH kitchen gear, I can’t ever remember where I got what… sorry I can’t help you with that! I’m sorry but I can not for the life of me understand how you can define this as healthy?! Look at your calorie, fat, sodium and carbohydrate counts!!! They are through the ROOF!!!! Shame on you for misleading people about this being a healthy version of mac n cheese just because you added squash and cauliflower! 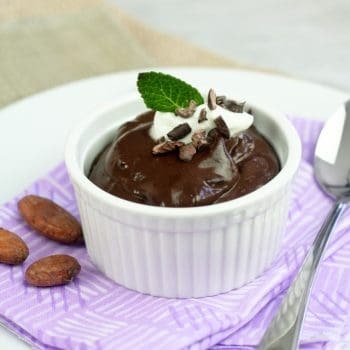 This looks very tasty! 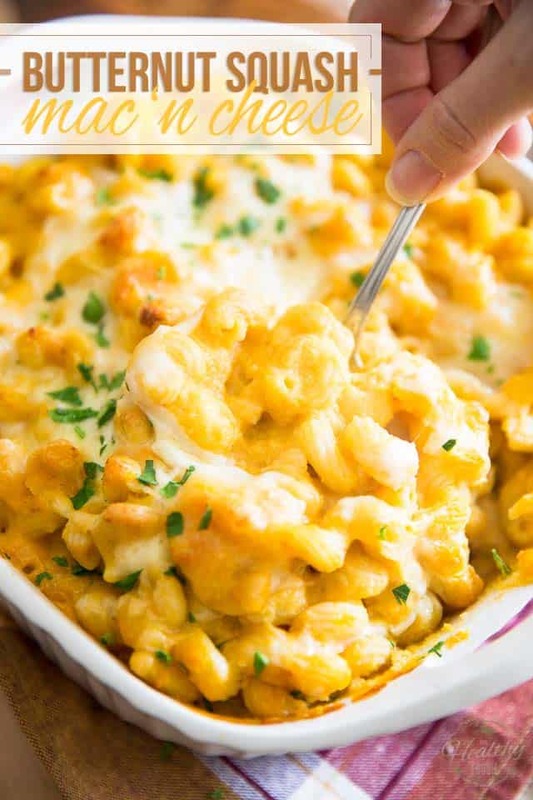 Have you ever frozen the Mac & cheese or even the sauce separately and reheated? I’m a big fan of make ahead foods for my toddler’s lunch that can just be warmed and put in a thermos in the morning. Freezing pasta is not generally something I would recommend, as it tends to get super mushy after it thaws. However, cooked pasta will keep for several days in the fridge, so maybe just freeze the sauce, then thaw and combine with the cooked pasta when needed? I think that would be a much better option!